Their wedding day back in May was a star-studded affair, with the guest list including the likes of George and Amal Clooney and David and Victoria Beckham. 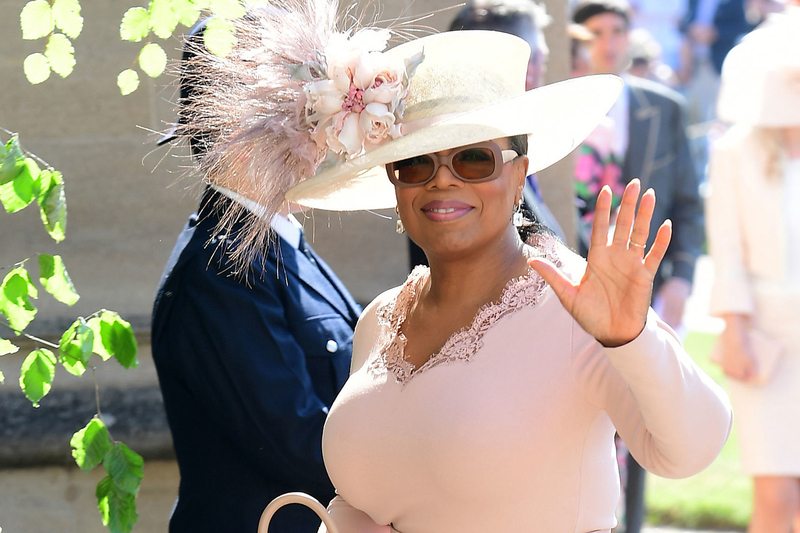 In a new interview, US royalty Oprah Winfrey has opened up about what it was like to be a guest at the wedding of the year – after having to change her dress at the last minute. ‘I was unprepared for the depth of emotion I felt stepping onto the grounds of Windsor Castle,’ she said in the upcoming issue of O, The Oprah Magazine. ‘It literally took my breath away. Of course, one of the biggest takeaways from the day was the love between Harry and Meghan. ‘I thought immediately of the history, the legacy, the astounding moment Meghan Markle was stepping into,’ she continued. ‘And what it would take to be prepared for such a moment. Ultimately, Oprah confirmed what we were all thinking: Meghan and Harry are relationship goals. ‘We all want to feel as radiant, joyful and alive as Meghan looked on her way down the aisle to meet Harry. Both of them were glowing with happiness.